In the heart of Vienna, 200m from the State Opera, you’ll find a unique, tropical oasis – the Imperial Butterfly House. In one of the world’s most beautiful Art Noveau palm houses, you can admire around 400 live, free-flying butterflies all year round. Absorb the colours and grace with which they float through the air, past waterfalls and exotic plants, in an environment as true to nature as possible. Whooshing waterfalls, the shrill whistling of marmots and the howling wind in the summit regions create an unforgettable high alpine soundscape. The joke ‘If it’s baroque, don’t fix it’ is a perfect maxim for Salzburg: the story-book Altstadt (old town) burrowed below steep hills looks much as it did when Mozart lived here, 250 years ago. Standing beside the fast-flowing Salzach River, your gaze is raised inch by inch to graceful domes and spires, the formidable clifftop fortress and the mountains beyond. It’s a backdrop that did the lordly prince-archbishops and Maria proud. Nestled between the edge of Hallstätter See and the towering Dachstein mountains, Austria’s oldest and possibly most photographed village is something like a mirage in the Salzkammergut Lake Region. Take a short walk from the market square to take your very own snapshot of one of the most photographed points in the world. Capture the delightful houses built into the mountain, the glass-like lake, and the amazing mountains in the background. For more beautiful shots, take a nature walk through the Echerntal trail and discover landscapes that have attracted mountain climbers, explorers, romantic poets, and painters. Schlegeis Lake, Tyrol, Austria. The Zillertal valley is a striking place, full of lakes. Schlegeis and other four are artificial lakes that are surrounded with mountains, thus creating a wonderful landscape. Climbing and hiking in these amazing surroundings are the most popular activities. 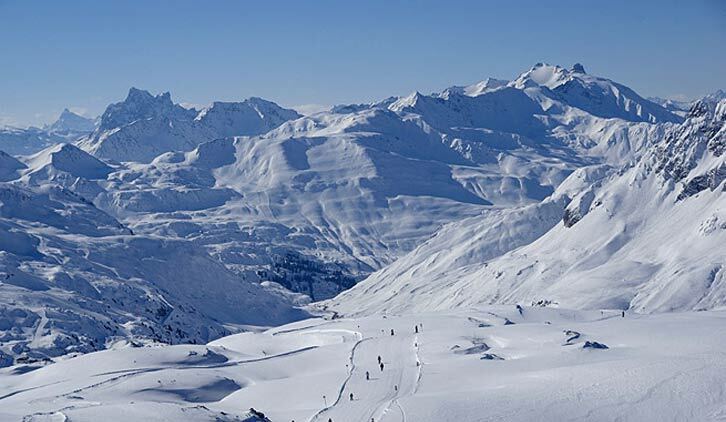 The Arlberg is an Alpine paradise in Austria’s western-most mountains. Breathtaking nature and a unique local culture in the villages make the region ideal for visitors who want an elegant Alpine experience. A jewel of Baroque meets contemporary art. 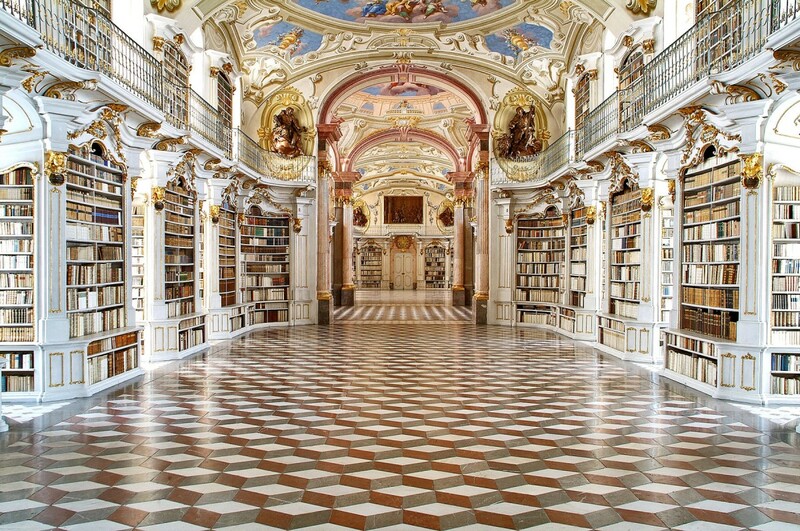 70,000 restored books, ceiling frescoes and sculptures in the magnificent library hall face works by Erwin Wurm, Rudi Molacek and Lois Renner. Tirol’s capital Innsbruck impresses with a beautiful medieval Old Town paired with stunning contemporary architecture, all surrounded by the majestic Alps. Credits: Lonely Planet, Wikipedia, Austria Info, Pando Trip, Snow Addiction, The Telegraph UK.